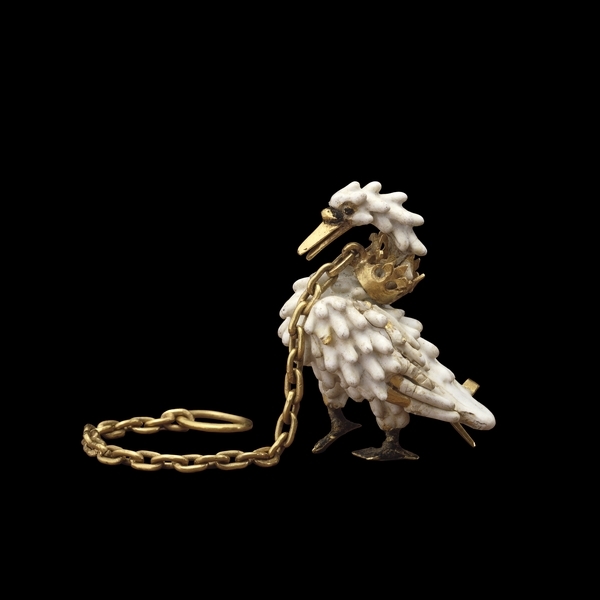 The Dunstable Swan Jewel is a livery badge of extremely high quality and craftsmanship, and dates to c. 1400. It is made out of an opaque white enamel and gold. This is an expensive livery badge, and it would have belonged to a prominent supporter of a rich and powerful family, probably either the Lancaster family or De Bohun family. Durnig the reign of Henry IV, the swan became associated with the Prince of Wales. Although there are written descriptions of other similarly fine livery badges, this is the only one that survives today. “The Dunstable Swan Jewel Livery Badge,” Medieval London, accessed April 22, 2019, http://medievallondon.ace.fordham.edu/items/show/79.